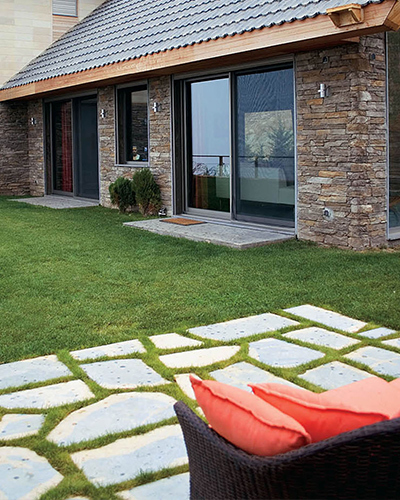 Synthetic Turf Mat Grass | Mathios Refractories S.A. When it comes to grass people usually think it will cost a fortune. To some extend this holds true but we have a nice and low cost solution for you. 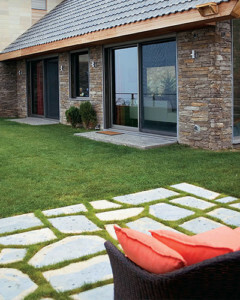 Mat Grass is a high quality garden turf designed to mimic real grass with a beautiful natural lush looking. The synthetic grass is environmentally friendly and at the same time it helps to save natural resources, since it does not need watering! So, you protect the environment while you save money! Synthetic landscape turf Mat Grass has such reduced maintenance requirements and so high durability over time, weather and UV radiation, which besides gardens and yards is ideal for recreation areas, sports centers, playgrounds, kindergartens, terraces, roof garden and swimming pools (chlorine does not affect it). Last but not least, with Mat Grass you never have to worry about muddy paws coming back into your home or children bringing more dirt into the house.